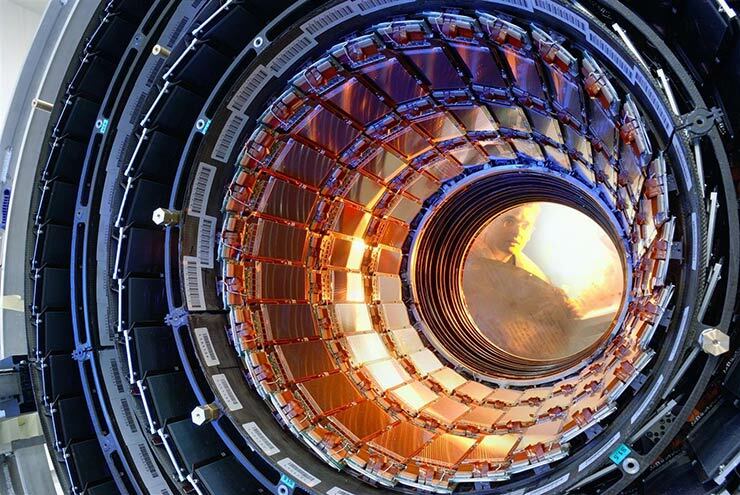 Some 300 feet below the France–Switzerland border is the largest machine in the world, the Large Hadron Collider (LHC). There, particles are sent careening at each other in a 17-mile loop at speeds that approach the speed of light. 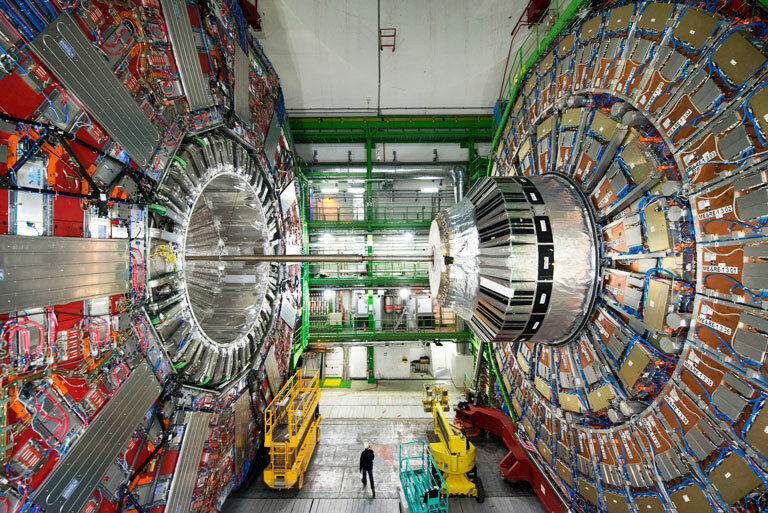 It’s there that the Higgs boson (sometimes called the “God particle”) was discovered in 2012. With the LHC, physicists create conditions similar to those after the Big Bang, study the fundamental building blocks of the universe, and search for clues in the hunt for the collective White Whale of astrophysics: dark energy and dark matter. Take a look now, because a new discovery may be on the horizon: The detection of extra photons during a recent particle collision in the LHC has some speculating that these unexpected flashes of light are evidence of a new particle—perhaps a cousin to the Higgs boson or even a graviton, the still-hypothetical particle that may transmit gravity.